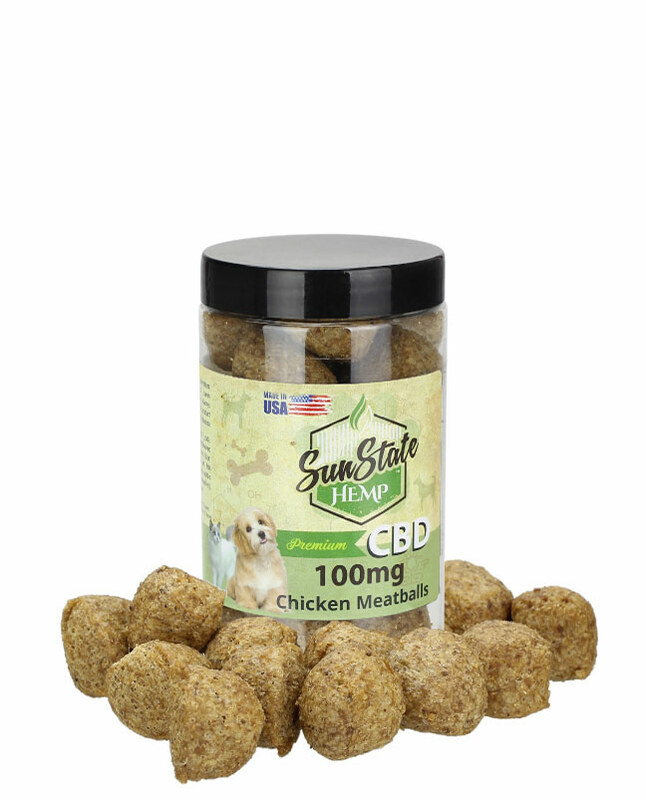 Sun State carries a wide variety of CBD dog treats and pet care products that may be able to help aid in providing a sense of calm, relief of pain, and support for your animal’s overall health and wellness. CBD hemp oil has also been reported as something that may be helpful for pets with aggressive disorders, previous traumas, cognitive issues, excessive vocalization and more. CBD oil for pets could be the perfect solution to your best friend’s needs. Feel free to contact our customer service team with any of your questions or concerns. Cannabidiol, or CBD, is a cannabinoid abundant in hemp plants. While it’s natural to be apprehensive when providing any new product to your pet, cannabinoids themselves are actually incredibly common and are even present in a lot of the spices we use on a regular basis. 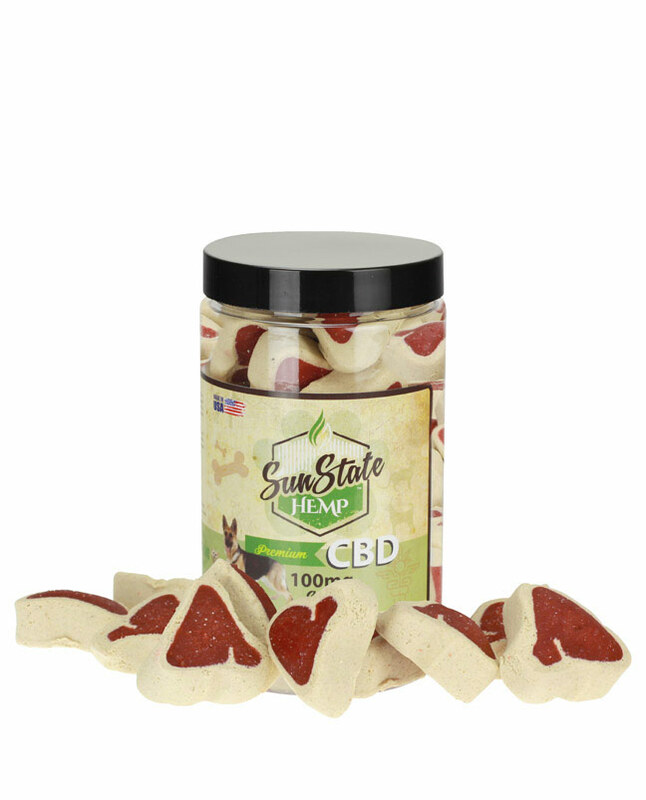 Every cannabinoid is unique and our bodies react to each one differently, that being said, CBD dog treats can be a great addition to your dog’s diet. All of our CBD oil for dogs is made with animal wellness in mind and is non-toxic to pets. In addition, we combine CBD dog treats with a wide variety of ingredients designed to help balance your dog’s diet and lifestyle. If you just started looking at different CBD dog treats or CBD oil for pets, then there are a few things you should keep in mind when choosing the perfect product for your pet. Before you give any new treat to your dog or cat, it’s important that you know exactly what you are giving to your pet. That is why we highly recommend that customers review the results of our 3rd party lab analysis, which are conveniently listed on all of our product pages. 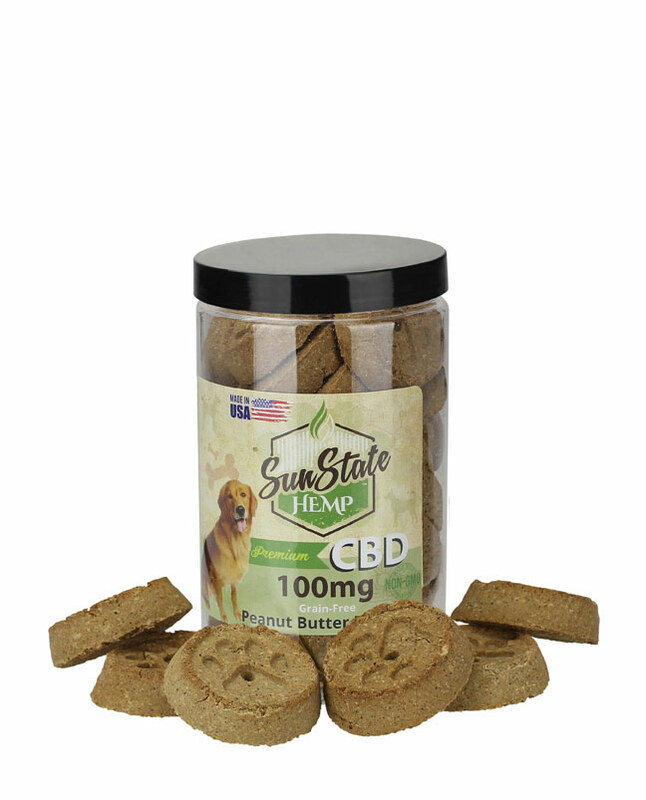 Sun State Hemp works closely with some of the best minds in the CBD oil industry to create high quality CBD dog treats. All of our pet care products are designed to satisfy your animals cravings, with suggested dosages and ingredients listed on the package to ensure proper use. Make sure to review the CBD contents of each of our CBD oil for pets. Whether you’re buying CBD oil for dogs, or CBD dog treats, we know that people love their pets and want the best for them and their health. 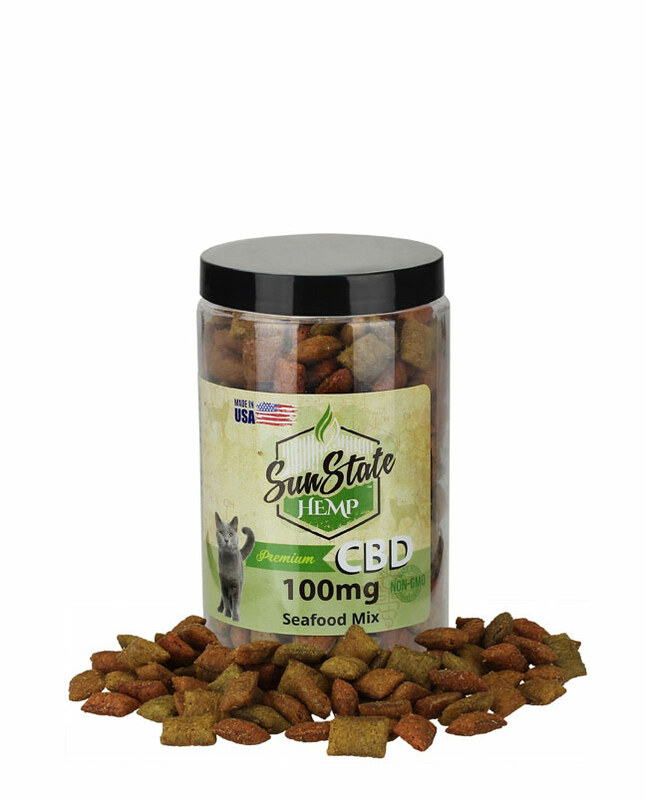 That’s why Sun State CBD for pets is made with the wellness of canines and felines in mind. All of our CBD hemp oil is non-toxic to pets, is harvested, grown, and manufactured in the USA, and reviewed by third party testing to make sure your best friend is only getting the very best CBD hemp oil.